March was an interesting month for Atari Corp. The sudden layoff of approximately 15 percent of the total U.S. workforce came as a surprise to everyone. Not long afterward, Atari fired the entire staff of Atari Explorer, its popular bi-monthly magazine. Mead Ames-Klein, the new president of Atari Computer (U.S.), is apparently the mastermind behind the layoffs. Although he declined a full interview, he did explain that the move was made to streamline operations. He dismissed allegations that the layoffs were a result of Atari's shrinking profits and inability to effectively move product. The firing of the Atari Explorer staff is shrouded in a little more mystery. The official Atari line is that the magazine is still in business, only the staff was let go. How they intend to publish without editors is the first mystery. The second mystery is the role played by the editorial in the undistributed Spring 1990 issue, a copy of which I have. In it, editor Betsy Staples blasts "one penny-pinching sycophant in Atari's accounting department" who was late paying the magazine's printing bills. This in turn caused delays in distribution. The cover date was changed from March! April 1990 to Spring 1990 and Staples wrote the editorial feeling the readers deserved "the straight scoop." Of course, in both cases, it would be too easy to condemn Atari for what appears to be poor decision making. It's a terrible thing to lose your job in the first place but even more so when it's through no fault of your own, as it was in the case of the layoffs (though the severance pay was reportedly quite generous). 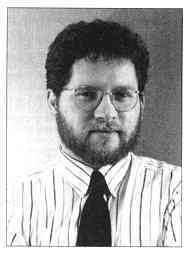 And I had great respect for the editorial staff of Atari Explorer. David Ahl, Betsy Staples and John Jainschigg expertly produced a quality magazine. But if Atari needs to make operations more efficient, that's fine as long as it results in products getting out the door and an increase in sales. Further, what was said in the Atari Explorer editorial was damaging to Atari and they had every right to respond to it as they did - it's their magazine. On the other hand, the editorial's gripes were genuine. Still, thousands of magazines sit on a loading dock somewhere in New Jersey. The potential loss in both subscriber and advertising revenue could be quite high. What will Atari do? I leave you to draw your own conclusions. In the meantime, START maintains its strong position in the Atari market and will continue to bring you quality ST coverage. At this writing, the World of Atari show in Anaheim is only a few weeks away. Watch for a full report soon.